^ Burke, Jason. Al-Qaeda: Casting a Shadow of Terror. I.B. Tauris. 2004: 59. ISBN 9781850436669. ^ Indian Mujahideen Takes Credit for Mumbai Attacks. 2008-11-26. 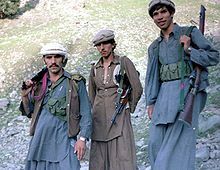 ^ Kashmir Mujahideen Extremists. 美國對外關係協會. 2006-07-12 [2007-02-09]. （原始内容存档于2007-02-14）. ^ VII. Violations by Militant Organizations. Human Rights Watch/Asia: India: India's Secret Army in Kashmir, New Patterns of Abuse Emerge in the Conflict. 人權觀察. 1996年5月 [2007-02-09]. （原始内容存档于2006-02-20）. 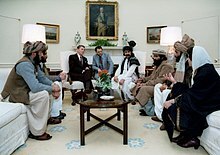 ^ Bin Laden’s Balkan Connections. The Centre for Peace in the Balkans. September 2001 [2007-02-04]. ^ Abu Sayyaf History. U.S. Pacific Command. 2006年9月21日. （原始内容存档于2009年1月23日）. ^ Global Muslim News (Issue 14) July-Sept 1996, Nida'ul Islam magazine.